By learning more about sharks and rays and how they interact with the world around them, show people why these creatures deserve to be saved. With help from Earthwatchers, Dr. Demian Chapman and his team have already accomplished a lot for the sharks and rays of Belize. They've teamed up with fishermen and the government to strengthen shark fishing regulations (shark fins are a prized soup ingredient in some parts of the world), secured protected status for all rays nationwide, and helped increase and improve protected areas for sharks. These wins have taken their research into an exciting new phase, and you can get in on the ground floor. Join in groundbreaking efforts to monitor shark and ray populations in and around three protected areas, working with shark fishermen employed to tag sharks instead of landing them! 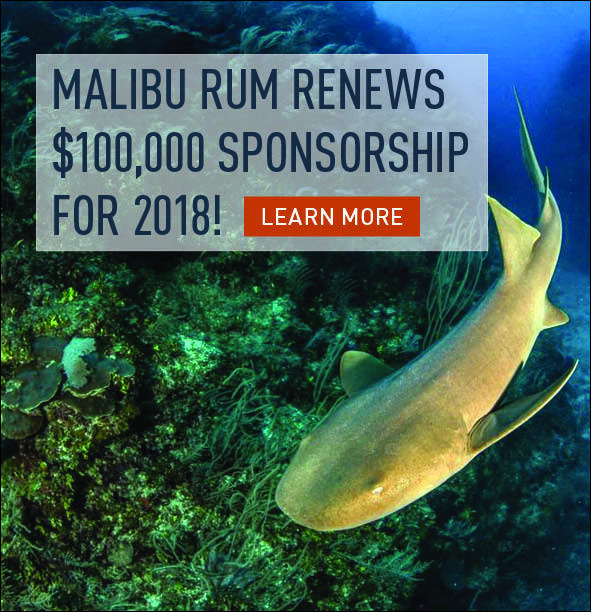 Your participation will provide key scientific information need for conservation and it will also directly save thousands of sharks every year by providing an alternative livelihood for shark fishers. Teams will also help track the species of sharks that fisherman catch using fin samples, and will also document the species of rays that populate the waters. Your work will help protect the coral reefs of Belize and the captivating predators that call them home. From a boat under the Caribbean sky, your team will deploy baited remote underwater video cameras (BRUVs) to learn what’s happening in the water. Teams will catch sharks and rays and apply tags that will allow researchers to track their movements in relation to protected area boundaries: a critical part of assessing how well the protected areas are working. Help save some of the world’s most fascinating creatures—and visit some of the most beautiful reefs on Earth. Because sharks breed more slowly—more like mammals—than other fish, their populations have a slim chance of recovering from major losses. Belize’s barrier reef was once a haven for sharks. Your work can help make it a haven once again. To protect sharks, rays and their habitat, we need to know where they spend their time. This study is the first of its kind—while we have evidence that sharks do better in marine reserves, we have no idea how long a decimated population will take to recover in a brand-new reserve. That’s one of the insights that will come out of this research. The scientists are also looking for insight into how well Belize's marine reserves foster sharks, so you'll help implant transmitters in sharks to track where they go. Essentially, researchers will know marine reserves are working if sharks spend more time inside their borders than outside. This expedition gives you a chance to make an impact today and tomorrow. You will influence policies that directly affect the sharks swimming in the ocean right now. You’ll also help with the long-term project of explaining the integral role that sharks and rays play in their ecosystems, which is something we still don’t know much about. You’ll be immersed in the Belize Barrier Reef, which is part of the Mesoamerican Barrier Reef, the largest and most spectacular coral reef system in the Western Hemisphere. 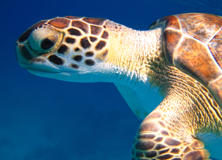 As a well-protected marine reserve, the research area is home to thriving populations of animals that are rare in fished areas, including groupers, snappers, many species of coral, and sea turtles. Belize’s terrestrial life is no less impressive—visitors to the jungle may spot monkeys, peccaries, and some of the 570 species of bird native to Belize. 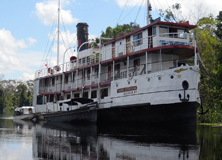 Many people also come to Belize to explore its cultural heritage. Mayan civilization had a strong foothold here before Europeans arrived, and the remains of their ceremonial structures and cities still dot the landscape. Archaeologists think that the population of the country was much higher during the Mayan era than it is now. You’ll get the chance to work with many locals as part of this project. You will stay at Glover’s Reef. Catch and study sharks and stingrays. Volunteers will fish for bait then set out long lines with biodegradable hooks to catch sharks and rays. The team will then take DNA samples, tag, measure, and implant transmitters before releasing them. Track shark and stingray movements. Snorkel to locate acoustic receivers used for remote tracking and ensure that it is in working order. Along the way, locate and recover stingray and nurse shark tags. Observe ocean life. The team will set up BRUVs (baited remote underwater video cameras) at various spots in shallow water. From the field station, you'll analyze the video footage to see what sharks, stingrays, and other marine animals are up to. Both groups will break for lunch around midday, then switch assignments for the afternoon. There might also be time for a recreational snorkel during the day. Not only will you get to try your hand at this wide array of research activities, you’ll also have free time to explore Belize’s many other offerings, such as bird-watching, hiking, and kayaking. After a hearty dinner, you’ll have time to socialize or relax so you’re ready to seize all this tropical wonderland has to offer when the next day begins. Take to the water with baited remote underwater video cameras (BRUVs). 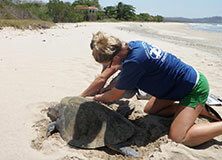 Assist Dr. Chapman in the measurement and safe release of these iconic marine predators. Dr. Chapman is an internationally recognized shark expert and has published papers on shark genetics, virgin births, the shark fin trade, and shark tracking, among other topics. You’ll stay at at Glover’s Reef in a field station near the ocean. The station has dorm-style rooms with electric fans, showers, and refrigerators you can use to store some personal food. You’ll enjoy three home-cooked meals a day, although we may sometimes take packed lunches out into the field. Most meals will feature Belizean cuisine, such as stewed meat or fish with rice and beans, complemented by a few nonlocal dishes. This expedition with Earthwatch to monitor sharks in Belize was one of the most rewarding experiences I have had in my nearly eighty years. There was not a wrong note. The leader, Megan Kelley, was superb. She taught us well and explained everything very well. The staff of the research center were excellent. I was concerned that my leg strength and balance would not be sufficient for this project, but all went well. I was the oldest person on the project. My task was to run the centrifuge on the boat to separate plasma from red blood cells when the sample had been taken from the shark. The other women on the expedition were all very good. All participated enthusiastically. The accommodations and food were very good. I cannot say enough about this experience. I went with two friends from Tucson, one of whom had been on six previous Earthwatch expeditions. I can certainly see why she has always been so enthusiastic about Earthwatch. Keep up the good work. Unique opportunity to experience the Caribbean (coconuts falling from trees, iguanas, and hermit crabs underfoot, red snapper so plentiful as to be used as bait.) Participate in shark research in a major coral reef in a non-tourist research reserve. Can't beat it! Before my expedition with Earthwatch I was drifting through life with one goal, find a way to save the sharks. However growing up in the land locked state of Colorado I was told that I would never be able to help the rapid decline of shark populations and that my energy would be better spend on land issues. I stumbled upon Earthwatch Institute while scrolling through my Facebook news feed, found the shark expedition in Belize and I couldn't believe that people could actually volunteer to help with research of this variety. At first I thought it would be way too expensive and I would never come up with the money to go. After the passing of my grandmother I inherited just enough to cover the expedition costs and my fights. The expedition absolutely changed my life, It was worth every penny and you are able to see where your dollars are going. I was able to work hands on with sharks and gain knowledge and experience you cant get in a classroom. This is my passion and I felt like a natural on the boat, handling sharks, and fishing like the locals. The experience opened up so many doors to continue my education because I was able to work side by side with some of the coolest professors and PhD students. After talking with the expedition leaders I felt confident in my path to get a higher education by moving to Florida and continuing and education out there. This expedition fueled my passion to save sharks and I hope to make it back to Belize. As a science teacher, I enjoyed being back in the student seat and learning about something. The staff on the trip were phenomenal and were always willing to answer my questions. I felt like I was actually involved in collecting data and helping with their research. I can't wait to bring back what I learned to my classroom! This expedition was very good. The leaders were very knowledgeable, patient, caring, and personable. Learned quite a bit about these animals and the threats to their population. Opportunity to be hands on with sharks and stingrays was unique and both exciting and scary at the same time. If you are looking to be somewhere remote, this is it. I had the opportunity to participate in this expedition in 2015 and 2016. It was absolutely life-changing. The IZE staff is incredible and the information and experience you gain is unparalleled. The field is the best classroom and the best way to learn and apply skills by far. This experience gets you closer to the world we live in, how it works and delivers a message : to protect are oceans to give the future generations the chance of living this great experience. My International Biology teacher recommended this trip to me last spring, and I was currently looking for some sort of biology-related expedition for the summer, so I thought it would be perfect! I was originally a little worried about working with sharks, but the staff working with my team eased the stress and I never even thought about being worried once we arrived on the island. We got to participate in the research while also having tons of fun collecting data, snorkeling, fishing, and enjoying each other's company for the week. I only wish it was longer than one week! 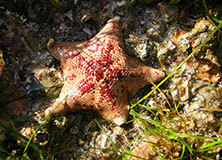 This trip is the best for someone who is interested in marine life or biology and wants to have fun. You feel involved in the research and a part of a wider effort to conserve these amazing animals. I have made some lifetime friendships while on this trip and I would highly recommend it to anyone considering joining. The most positive impact of this experience was that I was able to confirm marine biology as my intended career path. This expedition allowed me to fully immerse myself in actual research, and it felt good to be helping in an actual conservation effort. It was evident through the briefing and the lectures that the work we did around the island could have a real impact, and that was very inspiring. I was also impressed by the scientists and people I met that were so dedicated towards their work and helping the planet. I can highly recommend this project to any volunteer that wants to learn more about sharks. The principal investigator Demien has a passion about his research and is a delight to be around. He makes the work both educational and fun. Norland and Bert (locals) were amazing with all their local knowledge and their ability to navigate around all the obstacles in the atoll. Every day we would either set out Block rigged baits or long line baits to catch sharks. During the 5 days - we caught both nurse sharks and carribean reef sharks. Each shark was measured, tagged and a small DNA sample was taken. Our other main activity was setting up BRUV's ( underwater baited cameras) These cameras help the researchers get an idea of the density of the shark population. We were at the Grover Reef Research station as our base. The accommodations are basic but comfortable and the food was local and good. Each day we went on a snorkel for fun at various places around the atoll. The visibility and abundance of fish life was excellent. On every snorkel we saw at least one reef shark. The highlight for the trip was when we set up long line baits before dinner then went out at night to check the long line and gather information on the sharks we caught. I can highly recommend this project to anyone who loves being out on the water most of the day and enjoys learning more about the ocean. Snorkeling the atoll is an added bonus!!! !